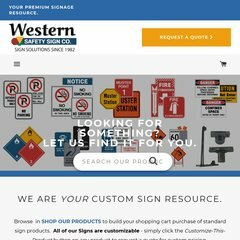 Topics: Danger Signs & Decals, Floor Minder Decals, Safety Banners, Stencils, and Parking Lot Signs. Age: It went live on October 14th 1999, making it over 18 years, 6 months old. penancemodulex.com Penance Modulex, Signage in Ahmedabad, Neon Ahmedabad, Acrylic ..
dns2.mts.net, and dns1.mts.net are its DNS Nameservers. The programming language environment is ASP.NET. It is hosted by Allstream Corp (Ontario, Toronto,) using Microsoft-IIS/6 web server. PING www. (209.82.20.251) 56(84) bytes of data. A ping to the server is timed at 28.8 ms.